Multiple states are holding SkillsUSA auto damage estimating competitions, and consistent interest from students and regions will lead to SkillsUSA formally adding the category to its Nationals main event, a State Farm claims consultant with a key role in the pilot said Wednesday. 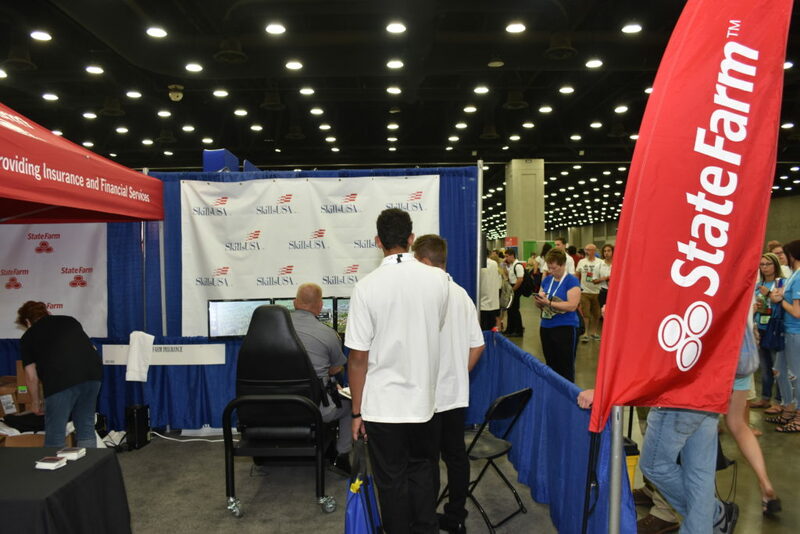 Collision Appraisal would be the third collision repair-related competition for SkillsUSA Nationals, which already features Collision Repair Technology and Automotive Refinishing Technology events. The apparent interest in the new event from various states and increased visibility for the estimator/adjuster profession might help insurers and repairers fill open positions in the coming years. The current SkillsUSA appraiser/estimator concept awards 200 points each for students conducting computerized estimates of “a frontal damaged unibody vehicle where unibody damage and light mechanical damage are present,” and “a damaged unibody vehicle where quarter panel damage is present and necessitates a replacement,” according to the SkillsUSA contest description and a summary document Evans provided. “Make proper determination of refinishing needs including partial refinishing, blending and application of two or three stage paint applications”; “Make proper use of alternative parts available on the ‘Parts information document’ as applicable (e.g. New OEM, Aftermarket, Recycled, Rebuilt, reconditioned, etc.”; and “Identify and estimate for unibody/frame damage conditions,” according to SkillsUSA. It’ll be interesting to see what the competition classifies as the “proper” circumstances to use alternative parts or if estimators will be permitted to advocate for solely new OEM parts based upon factors like liability, safety concerns or the age or lease status of a vehicle. Another interesting concept here would be to grade estimators on whether they remembered to incorporate any additional line items related to those specific aftermarket or recycled parts (disassembly of a donor component, for example) which wouldn’t be necessary on a new original part. 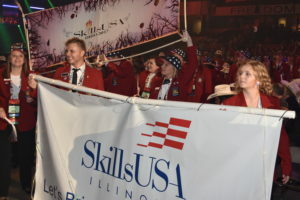 The SkillsUSA estimates will be tied to the National Institute for Automotive Service Excellence (ASE) Catalog of Collision Repair/Refinishing Tests Damage Analysis and Estimating B6 test and the National Automotive Technicians Foundation Collision Repair and Refinishing Standards, according to SkillsUSA. The next most important competitions in terms of point count (150 each) involve a total-loss evaluation and a “a ‘virtual’ computerized estimate on a damaged unibody vehicle using the computerized estimating system from supplied photos. Vehicle estimate is expected to be in the $2500-$3000 range.” The contestant’s estimate is supposed to include “appropriate repair vs replace decisions” and material and tax rates. Finally, the student will be judged on a 100-point written test administered by ASE and a 100-point interview segment including explaining the necessary work to a mock customer. The competition was developed by a committee featuring representatives from insurers State Farm and GEICO; repairers ABRA, Caliber, Gerber; Service King and Seidner’s Collision Centers; Insurance Auto Auctions; Professional Parts Group; the Collision Repair Education Foundation; estimating companies Audatex (and parent Solera) and CCC; Accountable Estimatics; and the ASE. Evans urged the CIC audience to support the event by joining that panel or by encouraging local trade schools to support the new competition. Those interested in learning more can contact him at chris.evans.ca1b@statefarm.com. “(I)nstructors and schools are excited about this new competition as it will allow them to market yet another career path that would come from their existing programs,” Evans wrote in an email. The summary Evans provided includes stats showing the career potential of being an estimator or insurance appraiser. Updated Bureau of Labor Statistics estimates since then calculated 16,150 auto damage appraisers were employed in May 2017 with a median annual wage of $62,100. PayScale responses from 576 auto damage estimators saw them post a median income of $48,517.